Trendy Elastic Ponytail Holders Handmade with Fold Over Elastic. 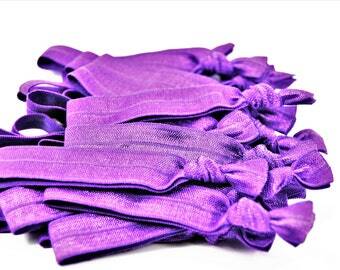 Our hair ties are perfectly stretchy! Can also be worn as a bracelet! Perfect gift idea. Perfect end of season gift for sports teams/cheer squads! 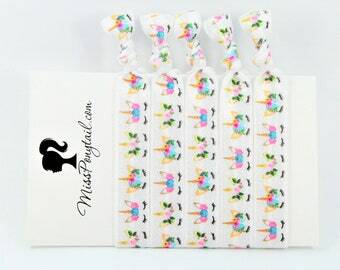 Hair Tie Favors are such a fun addition to any party! They work for all hair types! 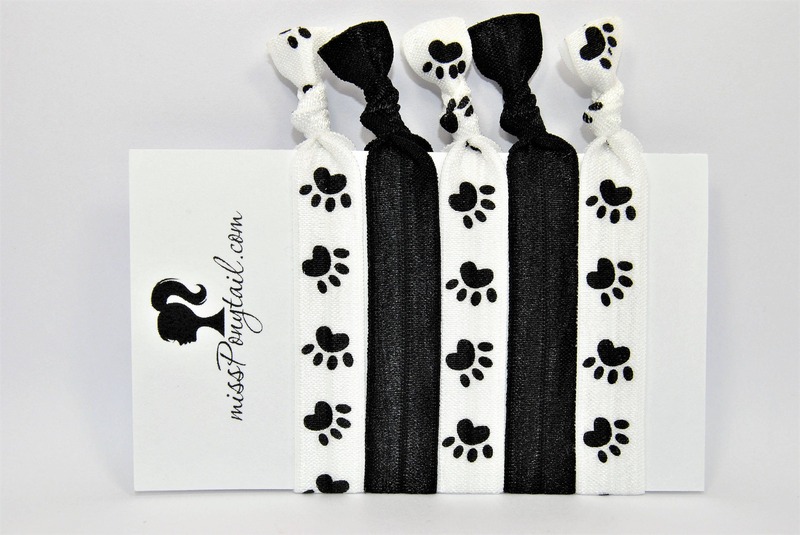 Each hair tie set comes on cardstock, packaged in a cellophane bag. Ready for gift-giving! Display cardstock may be different than pictured. Colors may be slightly different than pictured due to screen settings.